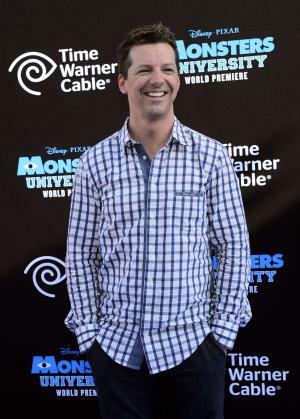 Sept. 24 (UPI) — Sean Hayes says viewers won’t see him framing his face with his hands and declaring “Just Jack!” in Season 9 of his sitcom Will & Grace. “You just have to go to Marshall Fields with him once on the down escalator, while people are going on the up escalator doing that [signature move of Hayes’ character Jack.] I got sick of it for him. It was just like, ‘Put your [expletive] hands down already!’” Max Mutchnick, the show’s creator/executive producer, said at a panel discussion at the Tribeca TV Festival Saturday. “I’m happy to have people still do it. I think it’s an honor and a privilege that people loved it so much that they feel compelled to do that. As far as creatively, I just felt like, ‘Let’s invent a new thing.’ … It was time to think of a new thing,” Hayes added. “Sean will sometimes privately do that for me,” joked Hayes’ co-star Eric McCormack. The show is to return Thursday on NBC for Season 9 after an 11-year absence.